Late afternoon light in exterior architectural photograph of Getty Museum, Los Angeles; Handheld interior museum photography at High Museum, Atlanta, Georgia. 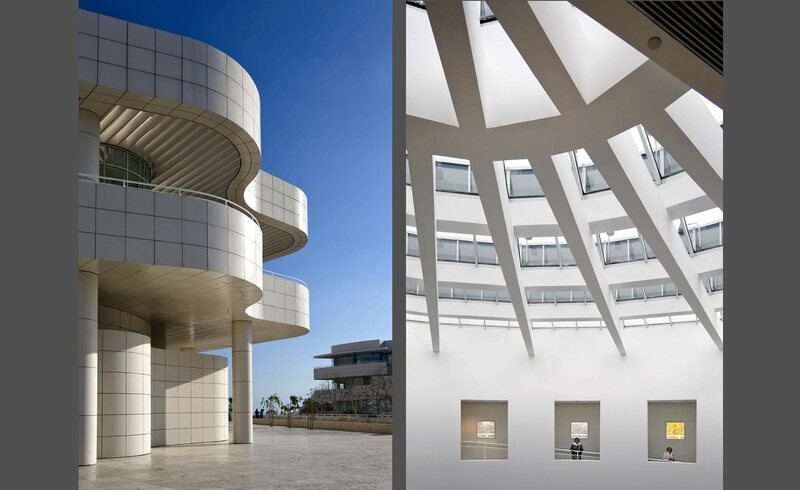 Exterior and interior photography of museums. An architectural photograph who loves museums & travel.